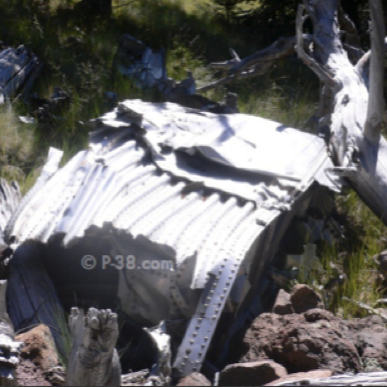 Poor visibility, rain, and snow were all contributing factors to the B-18 crash in the San Francisco Peaks. 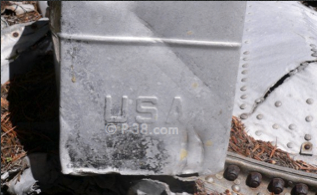 The aircraft was stationed out of the Albuquerque Air Base. Six men died in the crash. 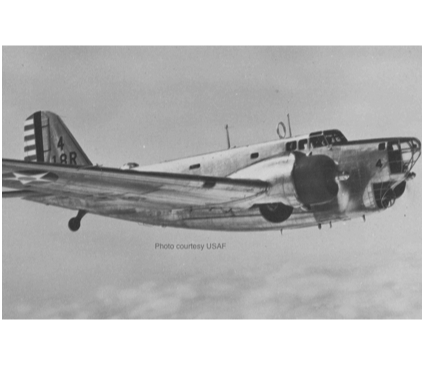 First Lt. Arnold T. King and his crew, flying B-18A, (37-515), departed Sacramento Air Depot to ferry material to Albuquerque, NM, via Bakersfield and Daggett, CA. En route, the weather encountered was not forecasted. The crew flew into snow, icing, turbulence, and strong south/southwest winds above 9,000 feet. 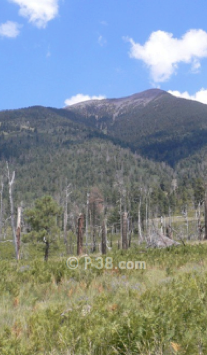 The aircraft crashed North of Flagstaff while flying a magnetic course of approximately 300 degrees. The left wing broke off about 10 feet of the top of approximately six trees. 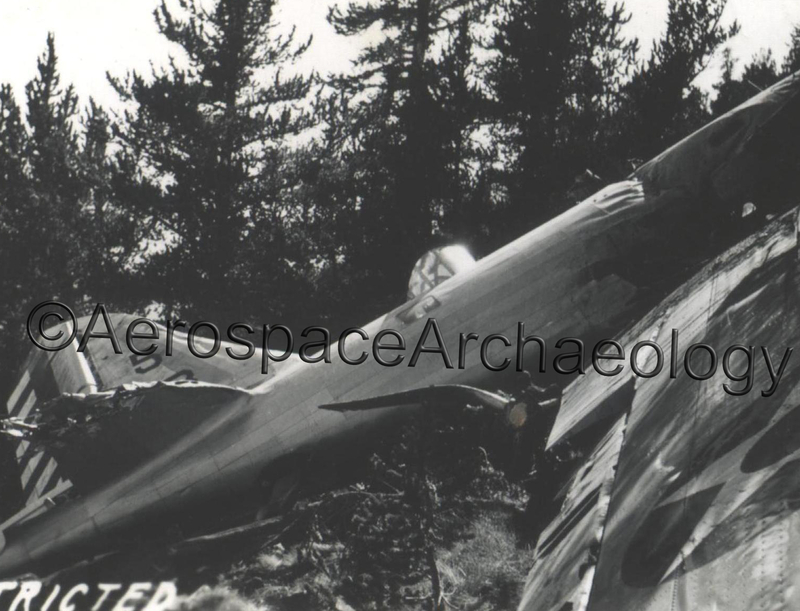 The aircraft then hit the ground approximately 30 feet beyond the group of trees, tearing off both wings and the horizontal stabilizer. 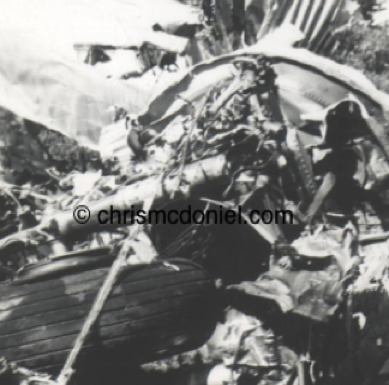 The gas tanks exploded and the ensuing fire engulfed the plane back to the radio operator’s compartment. 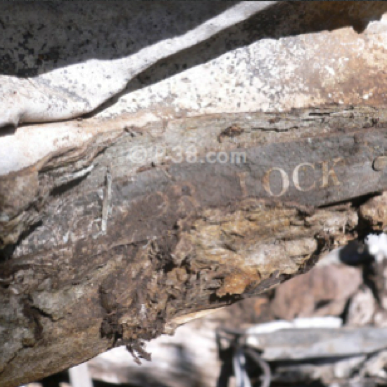 Hard to read, but it looks like it says, "Door Lock." 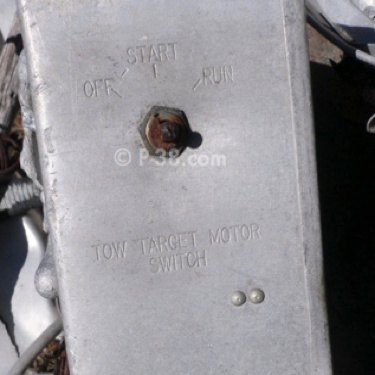 Interesting piece that says, "Tow Target Motor Switch." 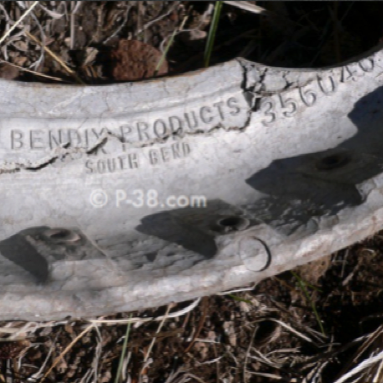 Bendix product from South Bend, Indiana. 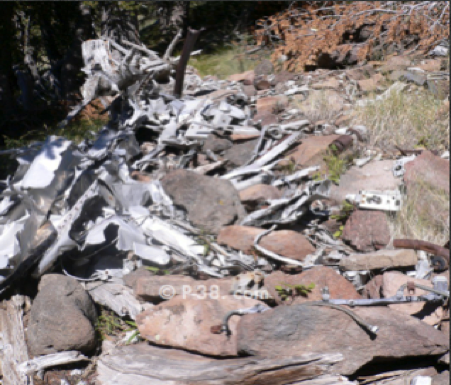 Another photo of the crash site from my collection. One of the main landing gears.